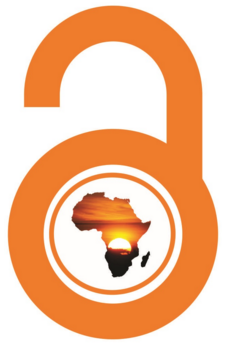 In response to the portentous need of access to scholarly content by the African research community, an additional SPARC Chapter, SPARC Africa, has been established and was launched at the International Federation of Library Associations (IFLA) Academic and Research Libraries (ARL) Satellite meeting on the 14th August 2015. The Chapter’s primary focus will be to capacitate Africans in academic and research sectors to champion free access to scientific knowledge as a means to alleviate Africa’s lack of access scholarly content. SPARC Africa invites membership from academic and research institutions, library and information profession associations, funding bodies, student representative organisations and parastatal organisations located within Africa. SPARC Africa will prioritise creating a development forum, which will assist with capacity building and infrastructure to open up the African continent’s scholarly output; making it accessible and discoverable for the international community. The Chapter will create this developmental forum, by tapping into the Ubuntu nature, which is an African meaning, 'humanity to others'. This forum seeks to achieve, a) development of training programmes to address open access activities, for example, the creation and management of repositories and publishing, b) adoption of relevant open source software and the development of a support base for the optimal utilization of such software; and c) promotion of the exchange of ideas and experience among members. The organisation also aims to establish global collaborative efforts by co-operating with international groups and organizations (such as SPARC) in the advancement of open access. The Library and Information Association of South Africa (LIASA) has made a commitment to offer infrastructure and support for the formative years of SPARC Africa. During the International Open Access Week 2015, the University of Cape Town intends to launch SPARC Africa as a declaration of its commitment to SPARC Africa’s agenda at its institution. SPARC Africa also extends an invitation for other African institutions to express an interest in joining the Chapter during Open Access Week 2015.